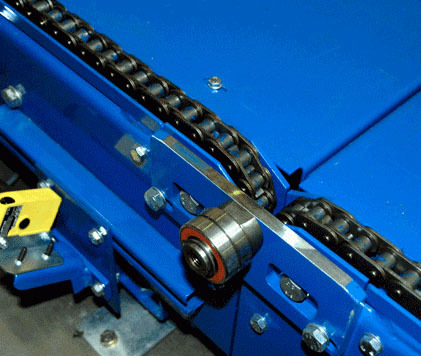 Andrews Automation Ltd have used Interroll systems on many of their powered roller conveyor solutions for many years. Interroll conveyor rollers and RollerDrive allow movement and sortation of small and lightweight product around a variety of industry processes. Andrews Automation have found this solution to be extremely reliable, saving clients thousands in reduced downtime and energy consumption costs. The 24 Volt DC RollerDrive system is a particularly economical solution that incorporates a high-performance 24 volt DC drive roller that is internally motorised. It offers a safe, low voltage system that creates a modest total cost of ownership due to it’s low energy consumption. It accommodates a variety of speed ranges as well as giving multiple drive options. For example the EC100 and EC110 range are available as a standard parallel roller; with grooves to accommodate PU round belting; or with PU or PVC sleeving across the roller. Tubes can either come galvanised as standard or in stainless steel for example for any food or pharmaceutical applications. The EC100 is also available with a brake motor. The EC110 and EC120 range allow for a chain drive for high carrying capacity for applications that are high torque / low speed. With options of ½”, 5/8” and ¾” pitch double drives and idlers, there are a number of options to suit client requirements. This type of powered roller conveyor system, in conjunction with Interroll’s DriveControl, provides a Zero Line Pressure (ZLP) or Zero Pressure Accumulation (ZPA) which create zones that hold packages stationary until the next zone clears it’s detection sensor. As packages accumulate, a low signal is sent upstream until each consecutive zone is occupied and the process continues. 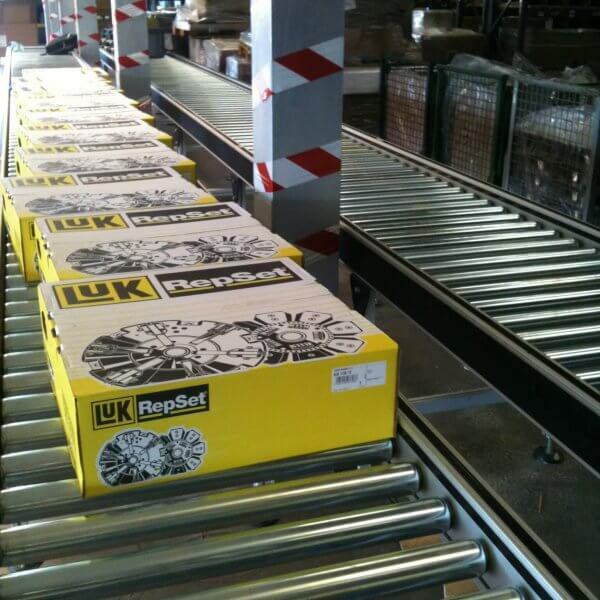 This conveyor solution means that packages will never touch and relieves any line pressure. One benefit of the DriveControl Card is that one card can control the EC100, EC110 and EC120 RollerDrives. It also offers standalone ZPA control operating in both standard and enhanced singulation. It also has ‘on-board’ speed adjustment, and interfacing I/O is provided for controlling speed, starting, stopping, monitoring sensors and general operation status. The 24 Volt DC powered roller conveyor offers our clients a conveyor system that is easily and quickly installed and provides a low running cost solution for a rapid return of investment. The range availability allows design flexibility giving the client what they need, as well as being a safe, maintenance free conveyor solution.